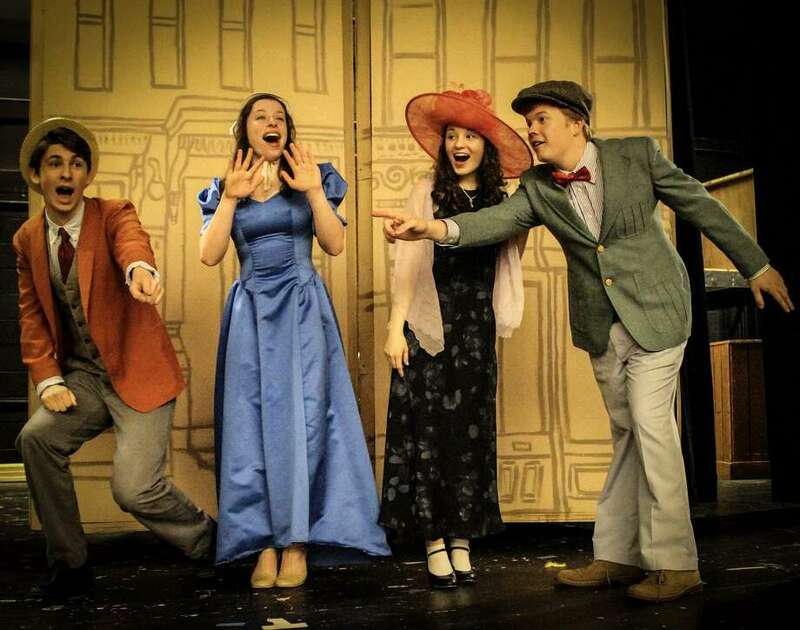 Fairfield Ludlowe High School Drama Club will present the Tony Award-Winning Broadway Masterpiece, “Hello, Dolly!” on Friday, April 26 at 8 p.m. and Saturday, April 27 at 2 and 8 p.m.
“Hello, Dolly!” follows the romantic and comic adventures of Dolly Gallagher Levi (Julia Vitale), a turn-of-the-century matchmaker and “woman who arranges things.” Dolly has been hired by ”half-a-millionaire” Horace Vandergelder (Francis Ohe) to find him a wife. Dolly’s scheming soon involves Horace’s employees: Cornelius Hackl (Kai Marrelli) and Barnaby Tucker (Jackson Shostak), as well as a New York hat maker, Irene Molloy (Emerson Raymond) and her employee Minnie Fay (Amanda Miller) and Horace’s niece Ermengarde (Emma Powell), who is in love with Ambrose Kemper (Luc Gervais). Also featured are: Bella Capponi, Ian Sacci, Alex Therriault, Jackson Bauer, Alex Bow, James Keller, Shaan Mehta, Aven Williams, Brennan Clarke, James Gannon, Sage Factora with a lively Chorus of Townspeople Singers & Dancers. A few important behind-the scenes: Assistant Director, Danielle Wilklow; Costumes: Alissa Cerruzzi; Set Crew Leaders: Grace Geckeler, Clara Cusanelli, Jae Leighton, Lights: Jane Capodanno, Props: Ian Sacci and Claire Orriss. “Hello, Dolly!” is a magical piece of musical theatre filled with memorable chorus-filled songs, such as: “Put On Your Sunday Clothes,” “Before the Parade Passes By,” and “It Only Takes A Moment.” Show-stopping dance numbers like “Dancing” and “The Waiter's Gallop” are combined with beautiful turn-of-the-century costumes to create a musical the whole family will enjoy.